The weather is cooling off and humans like to begin cooking comfort foods such as pots of chili, chicken and dumplings, soups and other hearty meals to warm the tummy and spirit. For parrots that are not chronic egg layers, the same applies true to your parrots. As the weather becomes colder, we slowly lower our indoor temperatures unless we don’t care how high our heating bills run. It is important to remember that if you are cold, your birds are too chilly as well and need to have supplemental heat such as heated perches or heated cage bar attachment units that allow them to position themselves at the temperature they prefer. Also, it is very important to keep drafts from blowing on parrots. In older, less than perfectly insulated homes, drafts can enter around doors, windows, between boards and other places, but you can locate drafts by lighting a candle is walking around the bird cage area (remember, use an unscented candle since some scented candles aren’t safe around birds). If the flame of the candle blows about, a draft is present and can cause illness in your parrots. Either fix the draft or cover the side of the cage where the draft impacts, but that is a bit off topic. 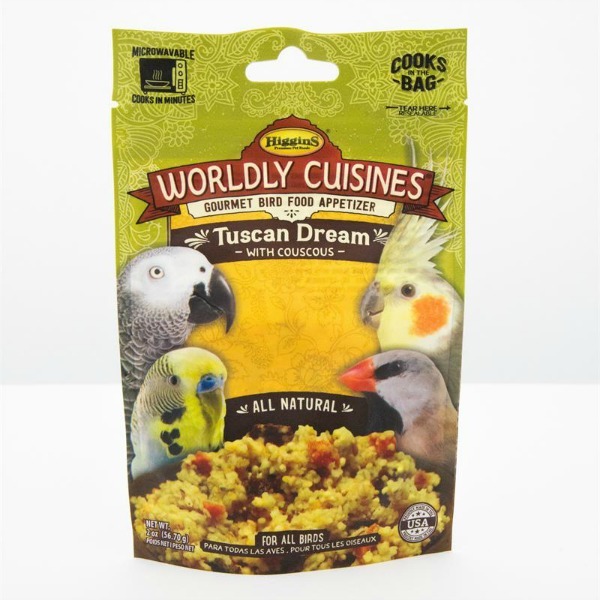 There are a wide selection of cooked foods designed for birds that you can choose from; these make cooking and serving warm food to your parrot quick and easy. 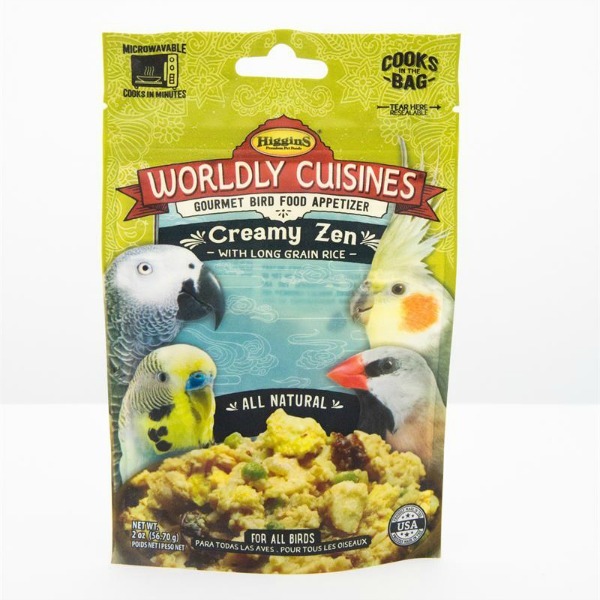 Crazy Corn, the original makers of cooked bird food, still offer their original mix of corn and seven different types of peas and beans plus tasty peppers and spices that parrots have relished for years. Cook at an easy batch, allow some too cool to warm for immediate serving, place several servings in a plastic container to warm in the microwave in coming days, and freeze small portions by placing servings in ice cube trays, then drop the frozen cubes into a freezer bag to remove, thaw and warm as needed. Please use caution when microwaving ANY item a bird will consume; stir very well and let sit for a moment, then stir really well again to prevent hot spots that can burn the bird’s tongue or crop. Crazy Corn offers an additional assortment of cooked foods included Kung Fu Yum, Rainforest Rice Pudding, Noodles and Nuts, and Polly Pasta. Your parrot, large or small, will love them all. 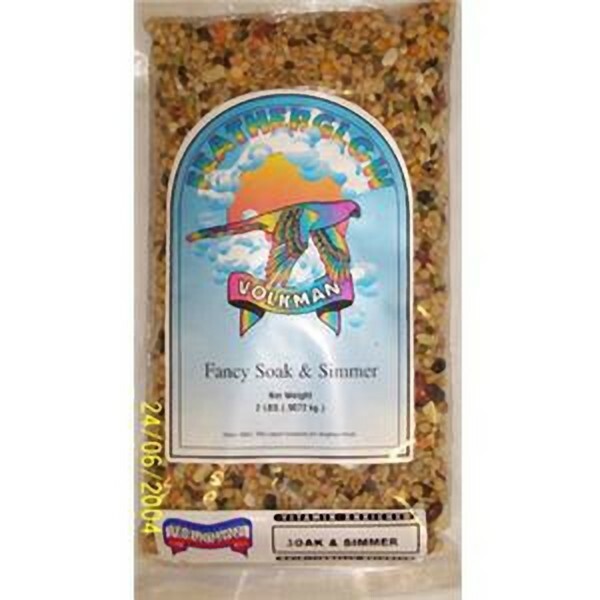 The soft food gives them a feeling of eating from nature’s bounty. 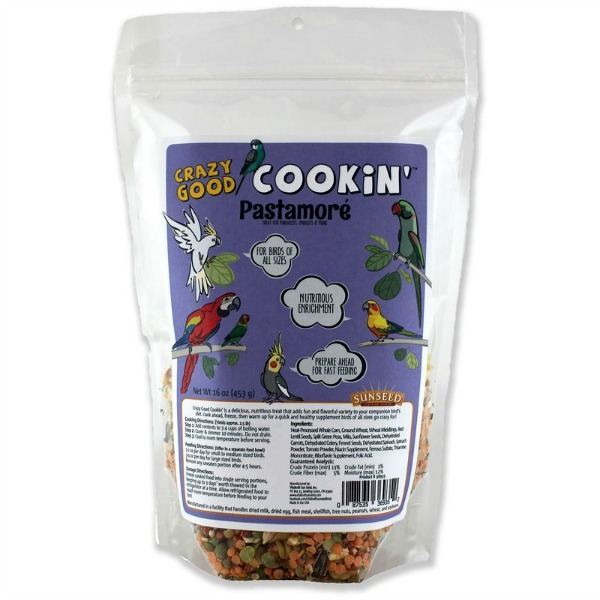 Before going on to other choices in cooked bird foods, a word of caution is in order. 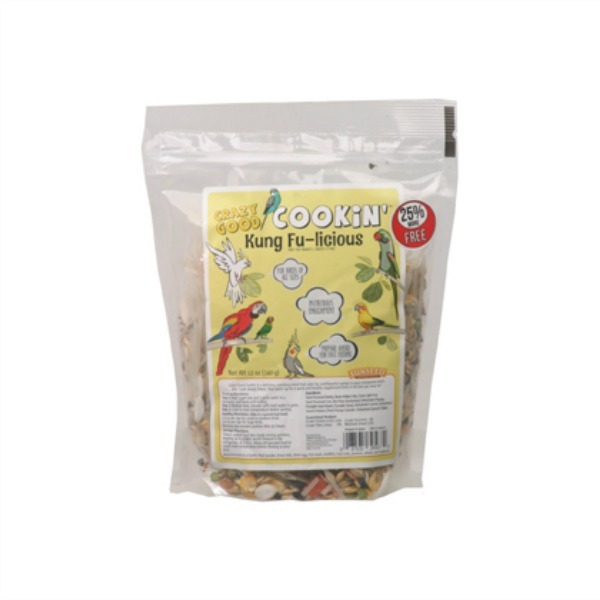 Any cooked food offered to a bird -- whether a t-bone steak bone, bit of cooked vegetables or make-for birds cooked foods should not be left in the bird’s food dish for more than an hour or so. 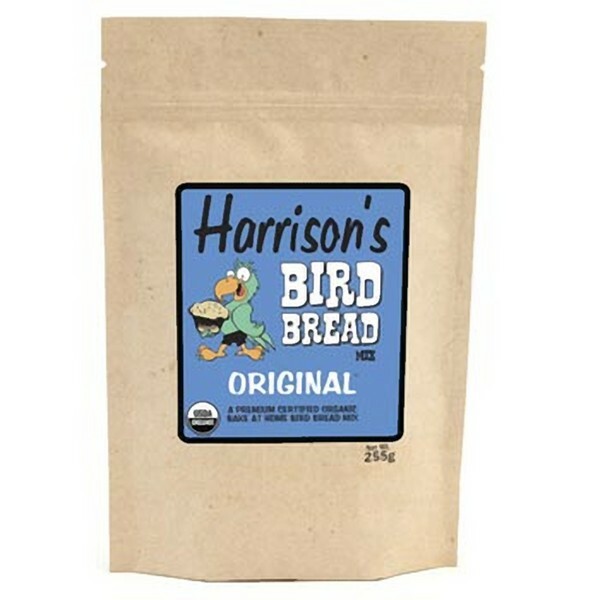 Because the food is cooked and, therefore, soft, bacteria can grow more readily on cooked food than on pellets or seeds. 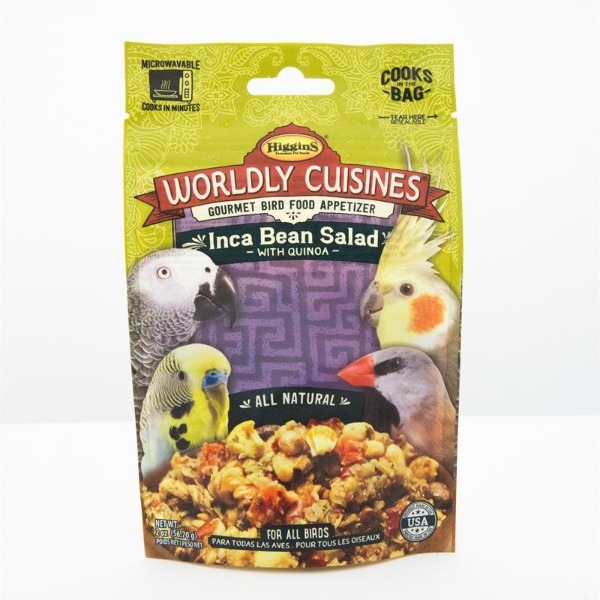 You don’t want to leave this type of food in the bird’s cage all day, potentially introducing bad bacteria into your bird’s digestive tract. Serve cooked food at a time you can be there to remove it soon after serving. Also, be aware that cooked foods double or triple in size when prepared according to label instructions. 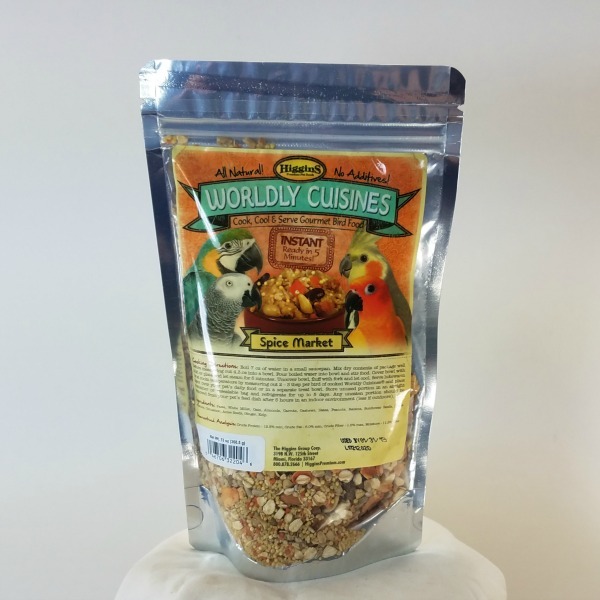 This means that a 1-point package of cooked bird food mix will create more than two pounds of food. 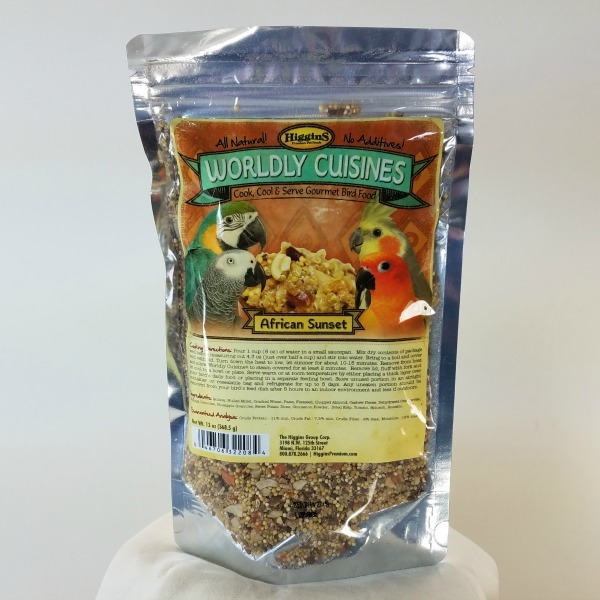 Don’t prepare more than you can store and do not feed this calorie rich food every day unless you are feeding extra calories to help a parrot recovering from illness regain lost weight or an underweight rescue gain wait. 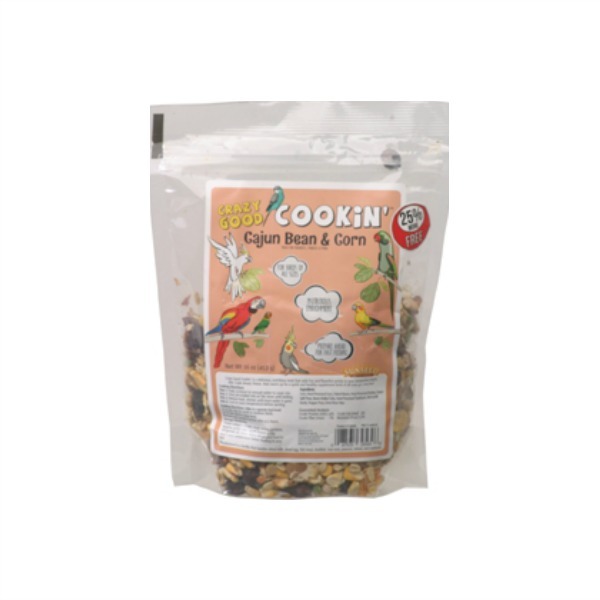 A normal weight parrot can become too heavy if fed too much of these calorie rich cooked foods -- after all corn, a component in many, is used to put fat on animals for slaughter and corned beef’s name truly comes from the high corn diet. 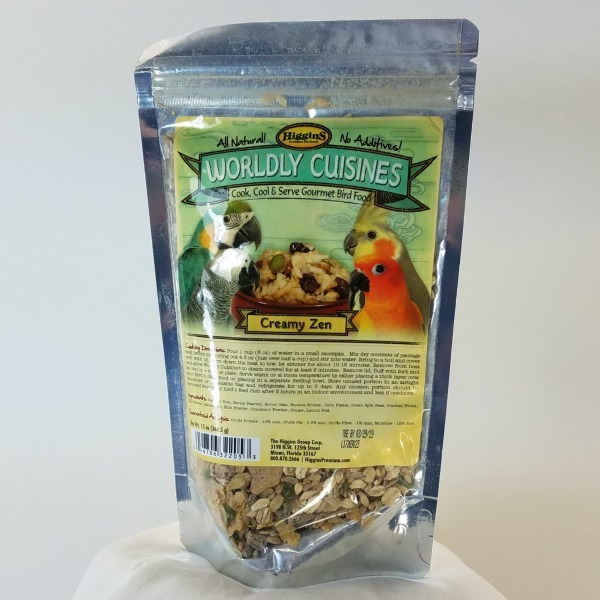 If your vet has placed your too heavy bird on a strict diet, avoid serving any except the tiniest treat amounts of cooked foods until after the bird reaches maintenance weight for some time, and then only serve as a rare treat. We might as well address the chronic egg layer here as well, before looking at other choices in cooked bird foods. 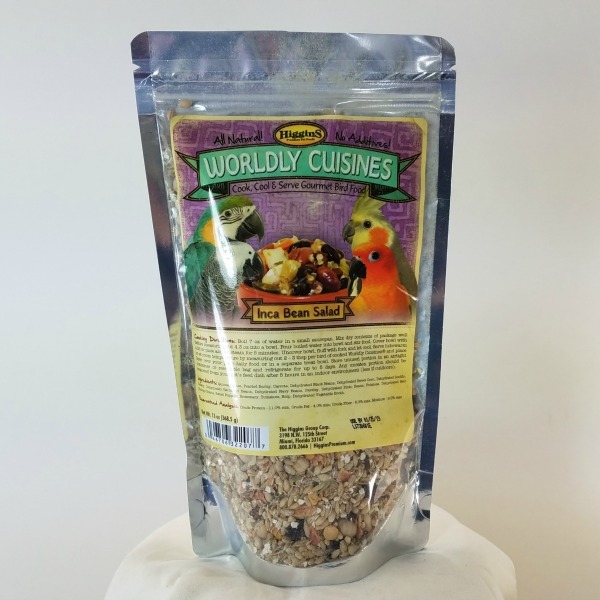 Chronic egg layers may view the soft, easy to eat, moist food that cooked foods create can trigger or retrigger the reaction in your bird that food is plentiful and it is time to raise babies. It would be unfortunate to have just gone through the 72-hour nonstop bright light treatment with ReLeaves supplement added and successfully break the reproductive cycle only to cause a relapse by offering soft, cooked foods. At least complete the ReLeaves treatment for the recommended six months then stopping for a couple of months to ensure no relapse is pending before considering cooked comfort food for your hen who is a chronic egg layer. 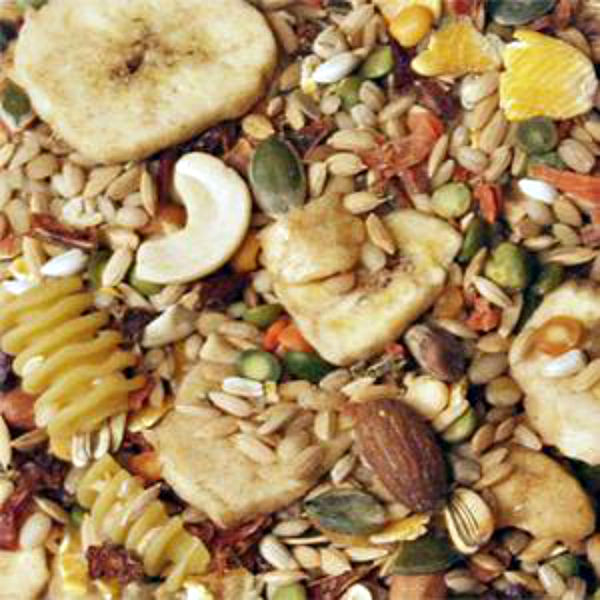 Now, if your bird is energetic and works off its food intake to maintain a normal weight, proven by weekly weighing, and she isn’t a chronic egg layer, let’s get back to some other choices in comfort foods you can cook for your parrot this winter, and really all year round but winter just seems the time to turn to soft comfort foods. 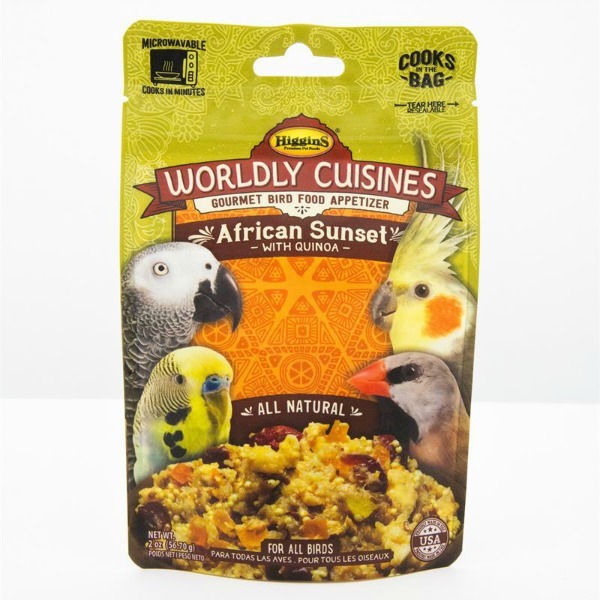 Higgins, a trusted parrot food company, has a spectrum of cooked bird foods. 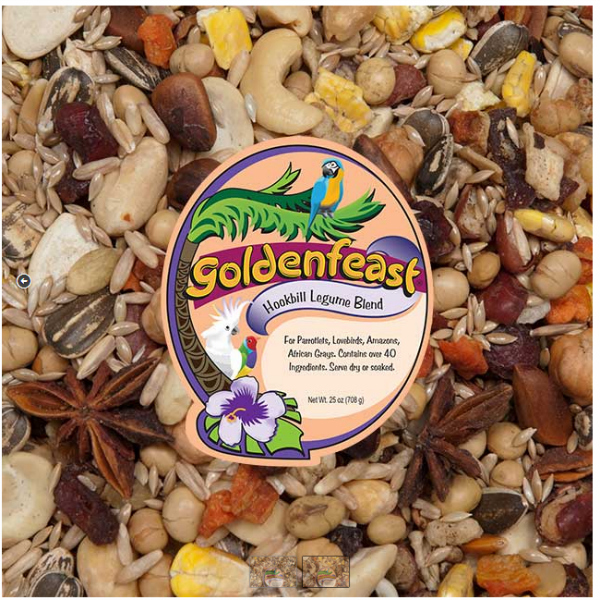 Named for the parts of the world where the flavors come from, there’s the Moroccan Cafe blend, Mundo Brazil, Creamy Zen, Inca Bean Salad, Passage to India, Spice Market and Tuscan Dream. 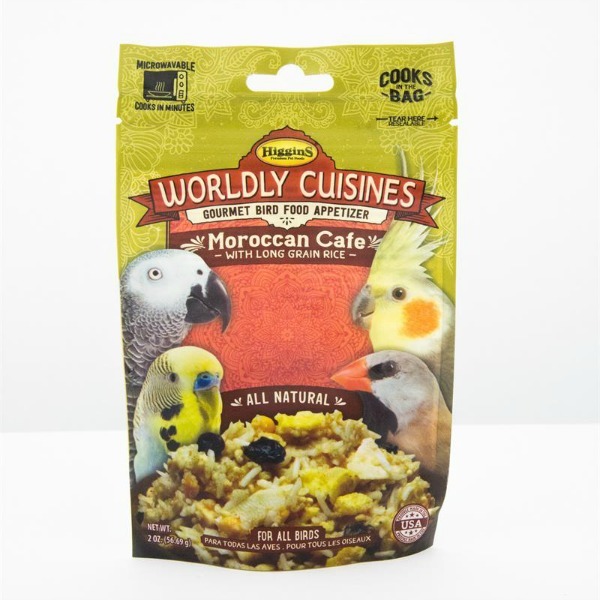 These products are available in 1-pound packages for the one or two bird home up to large packages for large aviaries. Remember, these products also double or triple in amount when prepared. 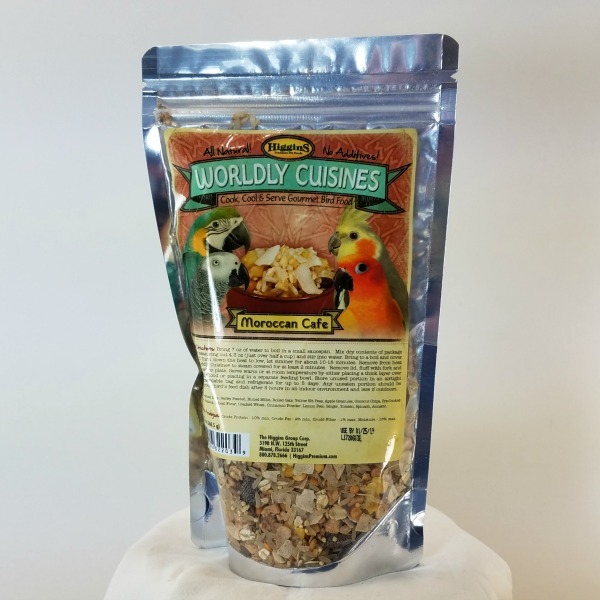 Volkman, Goldenfeast, Harrisons and L’Avian are other cook and serve bird food selections Windy City Parrot has selected as top quality products to offer you for your birds. 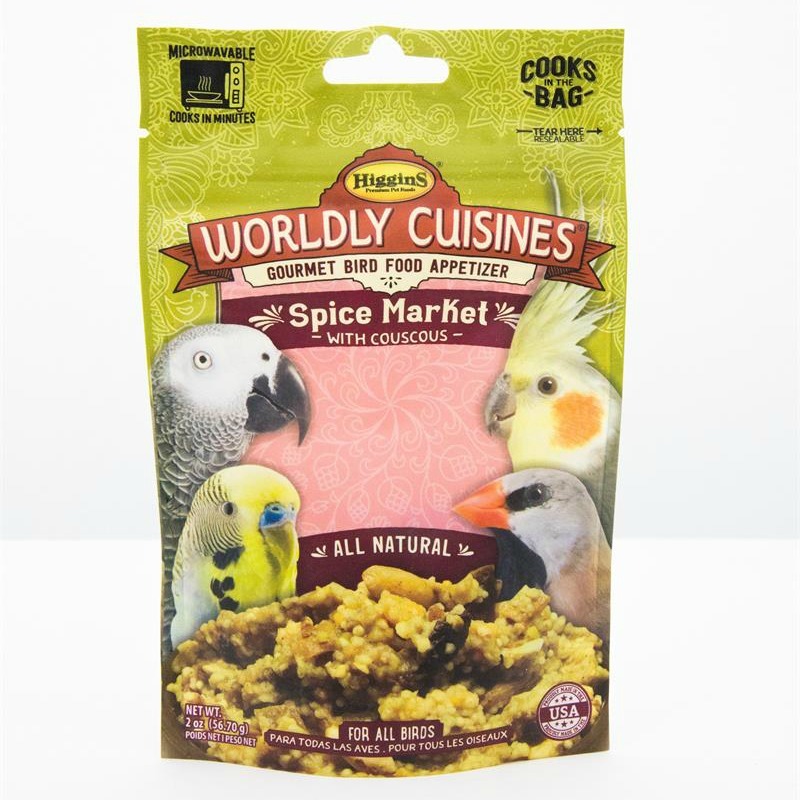 You’ll want to try a selection, learning which ones are your bird’s absolutely favorites, the ones it likes and -- though I doubt you’ll find these -- any it may not like as much. Thanksgiving holidays are coming and Christmas/Hannukah plans are already in the making. 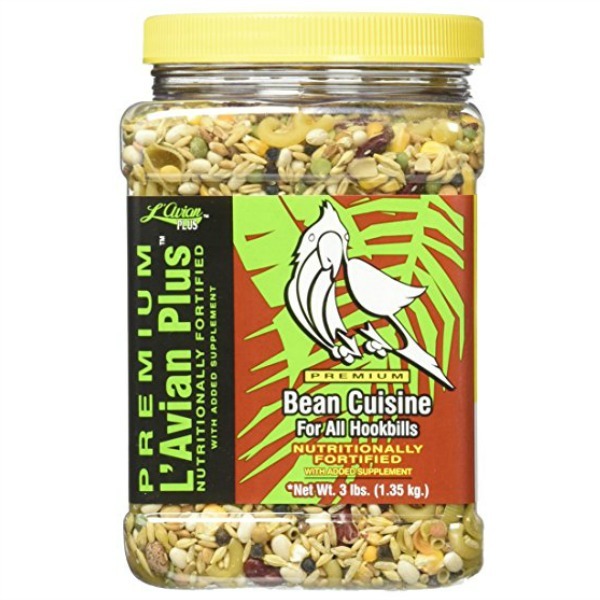 You’ll want to include you bird in holiday feasts and gift exchanges. 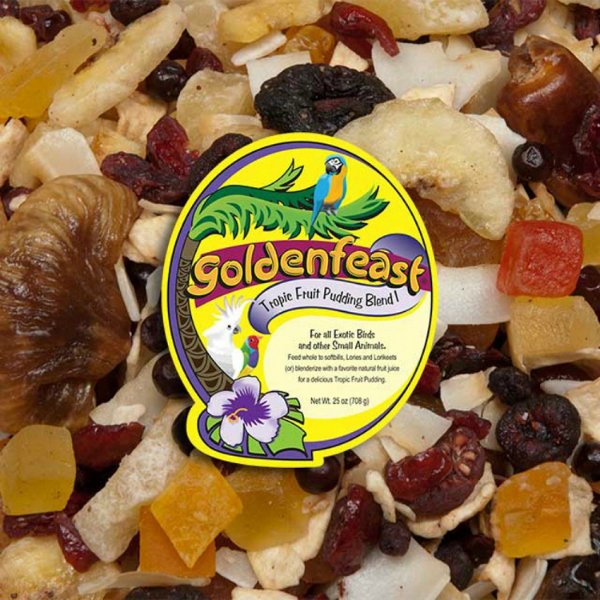 You’ll find that these special foods can be prepared for your bird’s special holiday feast. 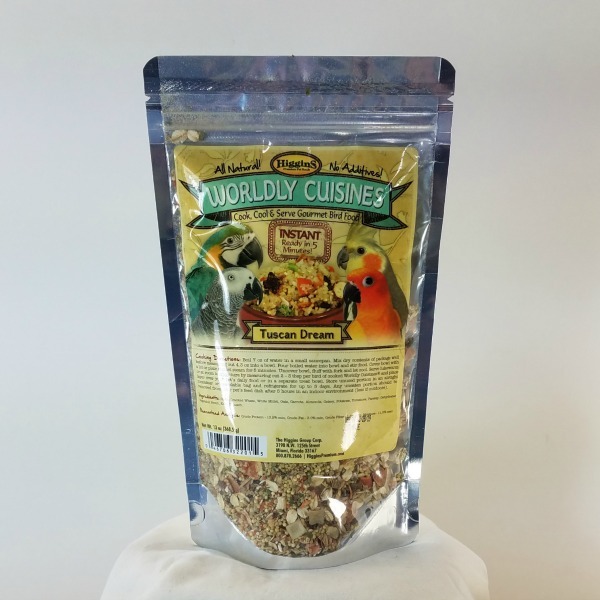 Prepare a holiday feast for your bird with cooked bird foods, tiny bits of meat, the turkey wishbone to chew on if you happen to save it, a single veggie of each one served but removed BEFORE adding salt and other seasonings you aren’t sure are bird safe. 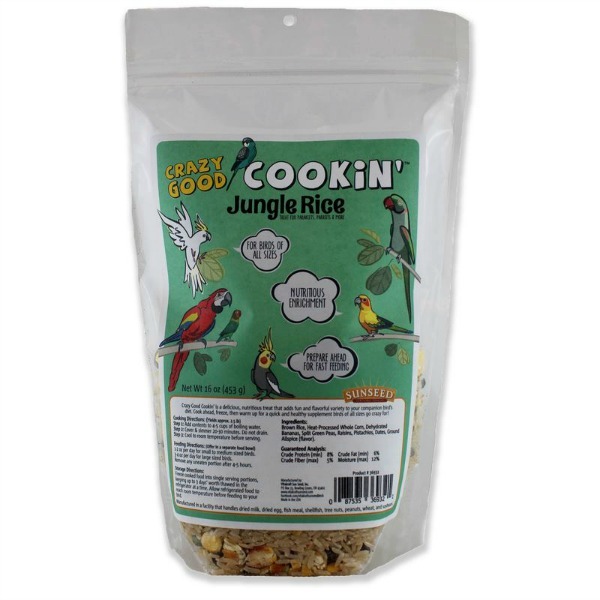 You can also buy these cooked bird foods to take care of some of your avian Santa duties. Wrap the gift in a bird-safe paper (your bird doesn’t care if it is clean butcher paper or white printer paper) and tie a new toy on instead of a bow. It may be hours before your bird decides to open the gift because it will be having too much fun with the toy.